Sheffield United midfielder Mark Duffy took a risk when going into professional football full-time (Picture: Simon Bellis/Sportimage). POSTERS of Premier League footballers representing Liverpool and Everton are highly likely to have festooned the walls of the schools and clubs of Merseyside where Mark Duffy worked before becoming a professional footballer. 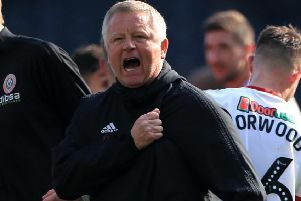 In just a few months images of himself and the likes of Billy Sharp, Jack O’Connell and John Fleck could well be inspiring many starry-eyed children in the city of his work in Sheffield as those with red-and-white affiliations among the next generation in the classroom dream of emulating their heroes and reaching the big time. Should that transpire then the irony will not be lost upon Duffy, an ‘Everyman’ individual in a Sheffield United squad rich in talent but also humility – a squad who pride themselves in remembering where they have come from and staying true to their roots, from manager Chris Wilder downwards. Promotion would represent one of those special stories that crop up from time to time in football for a group of players who, in most cases, have done the hard yards in the lower leagues. In the case of Duffy, non-league as well with the likes of Vauxhall Motors, Prescot Cables and Southport. On life before turning professional with Morecambe, Duffy, 33, busy preparing for this afternoon’s game with Millwall, recalls: “I was doing my exams in college and ended up working for the local council as a sports development officer and had an apprenticeship. I would go into schools and do the PE lessons, breakfast clubs and after-school clubs and stuff like that. That is what the fans appreciate as we do take time and remind them of people they know. We are just fortunate we can kick a ball around better than the average man. “It was really enjoyable and I had to make a decision at Southport whether to go full-time. It was for less money as at the time I was then working full-time and playing part-time for Southport. Affirmation of Duffy’s decision arrives on a daily basis. As it will today when he strides out in front of another bumper Bramall Lane crowd. The Liverpudlian and his team-mates trained on the immaculate surface yesterday morning in readiness for what everyone connected with the club will be another step towards achieving their Holy Grail of Premier League football. On the non-league circuit training never used to be that glamorous, but those days are imprinted on Duffy’s soul. He added: “When I was at Prescot I was in college. I would finish college and shoot back home and my mum would have my tea ready and within 15 to 20 minutes I would be getting picked up and training at six. “Then I would be back home and then back to college. It was a normal way of life really and makes you appreciate what we have got here. We had to pay for training and it was about three pounds. “You would do it because you loved the game. It did not make a difference if I had to pay for training; I would have done it as I enjoyed playing football. “Now it has come nearly full circle you just appreciate so much. “Most of the lads stay down on a Friday and have a coffee together (before home games).We speak to the fans and interact with everyone and are just normal people at the end of the day. If people want to come over and interact with us it is not a problem. This team is a down-to-earth team who works hard. The grounded nature and sense of perspective among Duffy and his colleagues is likely to serve them well amid a pressure-laden finale to 2018-19 where the stakes could not be higher. The Blades and Yorkshire rivals Leeds United are locked in a fascinating duel where the glittering prize on offer is automatic promotion. 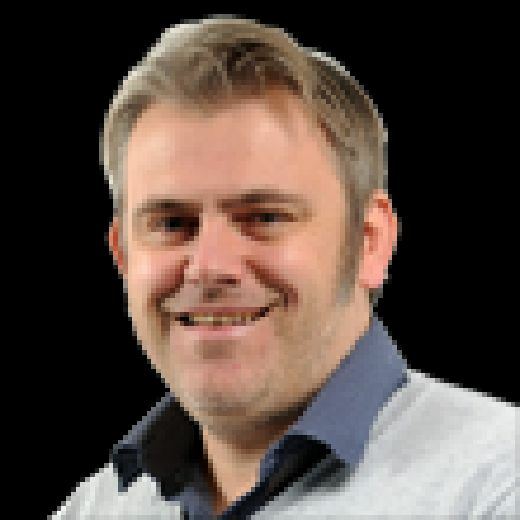 Wilder’s side can significantly crank up the heat ahead of Leeds’s early-evening game with Sheffield Wednesday by way of victory against the Lions, which would move them two points clear in second place by the time that their rivals take the field. As to whether playing first is a good or bad thing, Duffy is philosophical. He said: “It is good if you win. Obviously playing that first game there is massive pressure on it with the importance of winning and getting a result. “If you do it adds massive pressure, so it can work in both ways, but like the gaffer says we have got to take care of our own business and then whatever happens after that happens. Promoted together in 2016-17, it is fair to say that the Blades and today’s opponents Millwall know plenty about each other, with the London club’s lowly position close to the relegation zone not likely to deceive Wilder and co.
Jousts between the pair have been tight in recent times, none moreso than almost a year to the day when Millwall drew 1-1 at Bramall Lane. Today’s game is also spiced up by the return of ex-Blades midfielder Ryan Leonard to South Yorkshire and Duffy will extend the hand of friendship – but only after the final whistle. Duffy added: “He is a good player and it was one of them where probably it is our strongest position in the whole squad as we have so many central midfielders. But he is a great lad and I will go over and wish him all the best – after the game. “They are a good team and we have played against them a lot as they came up with us. We have had some tough battles and they are a physical team and they play a different style to us.